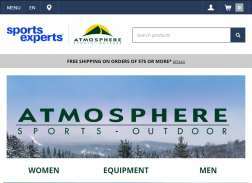 Atmosphere offers a large selection of outdoor sports & recreation products and services, with stores across Canada (excl. Quebec & Orleans). Take 25% off ticket price. Applicable on select brands and styles. No cash value. Excludes taxes and cannot be combined with any other 3rd party offer. 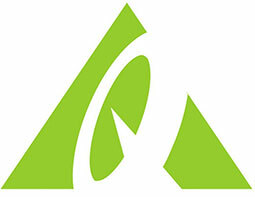 Excludes Arcteryx, Fitbit, Garmin, GoPro, Osprey, Yeti, Hestra and other select brands & styles. Not valid on gift cards, previous purchases, Custom Orders & Service Shop services. Other exceptions may apply. Limit one coupon / promo code per purchase. Black Friday! Buy One, Get One 50% Off Select Socks at in-store ticket price. Select brands and styles. Limited quantities. Selection may vary by location. Expires on 11/29/2018 at 1:59 AM ET.